New Zeland singer-songwriter, Lorde performed "Green Light" and "Liability" from her upcoming album, Melodrama, on SNL. 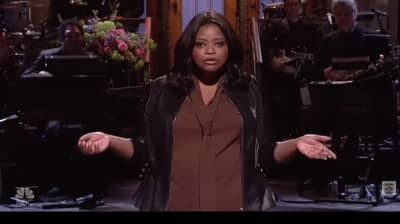 Watch Octavia Spencer poke fun at "Hidden Fences" in SNL monologue. Margo Price played two songs from her debut LP, Midwest Farmer's daughter, "Hurtin' (On the Bottle)" and "Since You Put Me Down" on SNL. With your wife actually in the back seat of her brand new foreign car. The rapper performed “Bed of Lies,” “Only” and “All Things Go” as well as playing Beyoncé for a skit. SNL’s recent clip reminded us of Maya Rudolph starring in our favorite Beyonce spoofs.